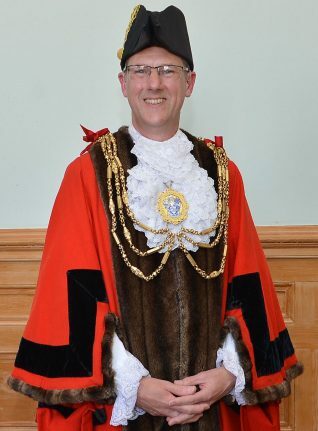 Councillor Pete West is the current Mayor of Brighton & Hove. He was elected by his fellow councillors at the Annual Council meeting on 12 May 2016. He serves as mayor for one year until the next Annual Council Meeting in May 2017. The mayor will be supported during his mayoral year by his partner, Geraldine. Pete West was the first Green Party councillor elected in Brighton and Hove, representing the former St Peter’s ward from 1996 to 2003, and, following a break as a councillor, was re-elected to the city council in May 2007 to represent the enlarged St Peter’s & North Laine ward. If you would like to invite the Mayor to attend an event you can find out the details here.